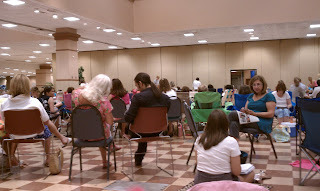 Companion Blog to the Buy, Sell & Swap Facebook Communities! 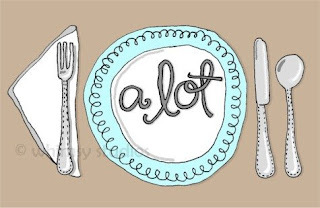 All about Fashion, Shopping, Sales, Everything Pink & Green, Travel, Crafts & more! Everyone probably wants to know who won the 5000 Fan Giveaway right?! I'll get to that shortly! Sorry for the delays, seems to be the story of my life lately! 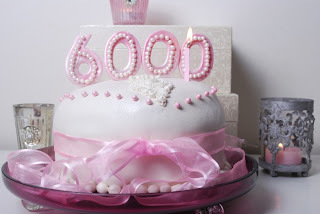 I was delayed in posting the 5000 Giveaway while my Minnie was sick in the hospital and hoped to get back on track but haven't been able to do so. I truly have too much on my plate! 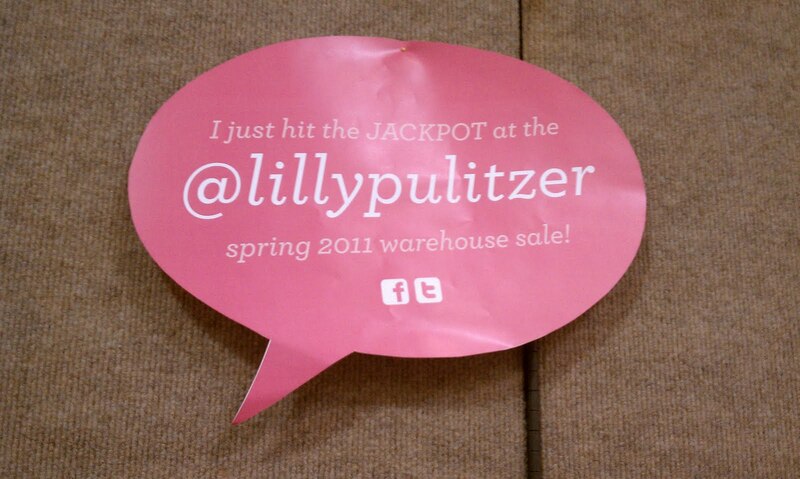 We did make it to the June Lilly Warehouse Sale. I was nervous about traveling 7+ hours by car with Miss Olivia but her doctors gave the go ahead. After 7+ hours in the car Olivia patiently waited in line at The Valley Forge Convention Center while we waited for a number for the Lilly Warehouse Sale. We saw some familiar Lilly Loving faces from Re-Lilly while we waited and made some new Lilly friends. As you can see the wait line was very long! 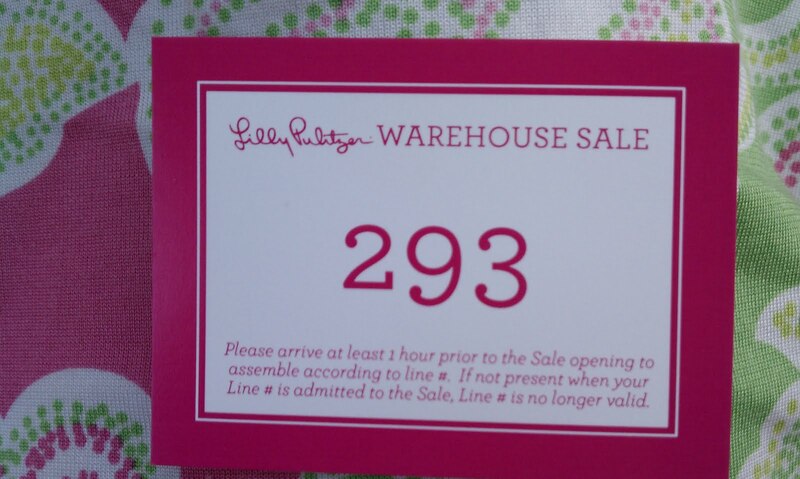 Shortly after 6pm Lilly employees handed out numbers and we were #293, the highest number I have ever received, but still thrilled to have a number for the morning! 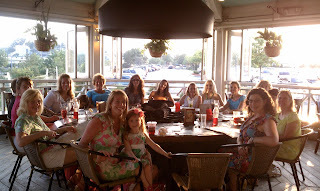 We then headed to Bahama Breeze Restaurant to meet up with other Lilly Lovers from Re-Lilly for dinner & cocktails. 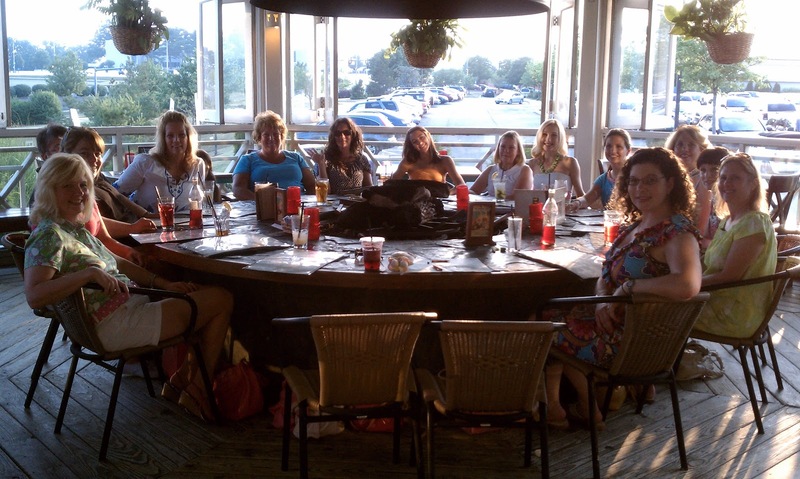 We were thrilled to meet up with Re-Lilly friends. 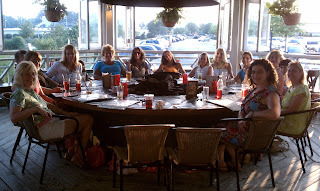 There was no Bahama Breeze in this near 90 degree heat and even though we felt like we were melting we had fun! I wish we had more time to visit with these wonderful ladies! It had been a long day and we were tired and Olivia had started to complain her belly was hurting which scared me after the recent hospitalization. I tried not to panic and chalked it up to the long drive and the heat. My poor baby was up sick most of the night with tummy issues so neither of us slept much. I slept about 1.5-2 hours as we had to be back in line at 4:30 am. I told Olivia we would skip the sale and rest and she threw a fit saying she felt much better so I told her we would try and if she wasn't feeling well we were going back to our hotel room. So we got in line and enjoyed chatting with other Lilly Lovers and enjoyed reading these fun signs! 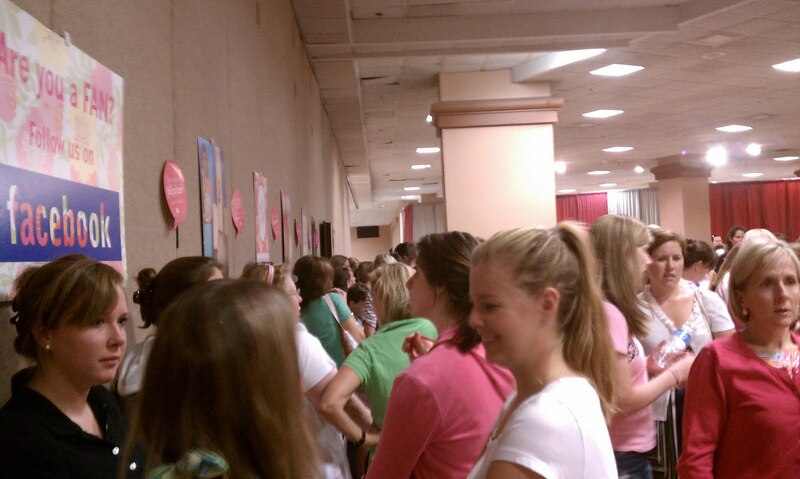 This was how the line looked at 4:30-5:00 am. The line went quickly and we got through the doors shortly after 5:30 and and shopped until we dropped, literally! We scored lots of great deals! We were a little sad we couldn't find more matching items but very pleased with all the beautiful Lillys we found. After another long wait in line for the dressing room area we tried on a pile of Lillys. This is Olivia's favorite part of the Sale! 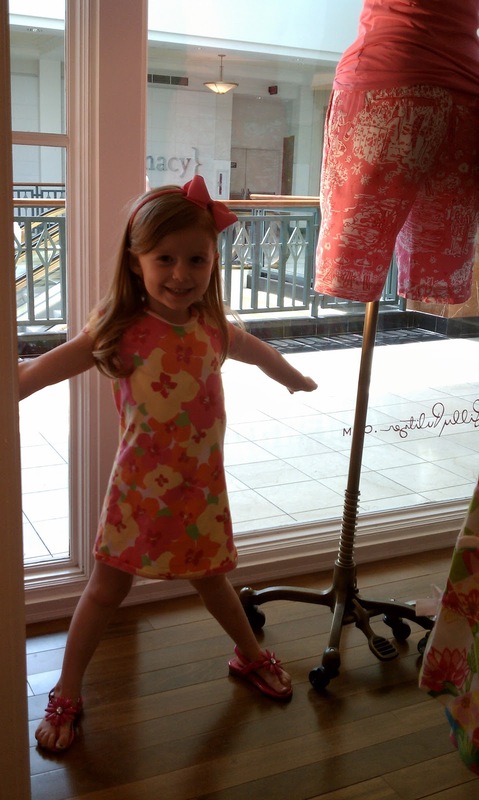 She loves to try on new Lilly dresses and twirl! In the dressing area she was smiles and giggles while she danced and sang songs and modeled all the dresses she picked out. She received many compliments for being so well behaved and for being so entertaining and adorable. We have even received notes from Lilly employees that worked the sale to say how adorable she was in the dressing area. You never would have guessed this child had just been so ill. Unfortunately a few hours at the sale was enough and Olivia's tummy started to hurt again so I took her back up to our room where we laid down to rest. She still was not well but said she wanted to try eating so we went for lunch at Nordstrom's Cafe (King of Prussia Mall- we love this place!) 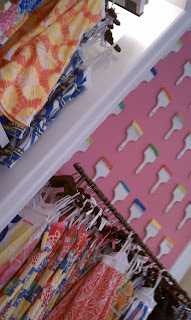 and then some shopping in the Lilly King of Prussia store where we found more Lilly bargains! Here Olivia is modeling/dancing in the KOP Lilly Store window. She was having fun making faces through the window at Re-Lillyers (Andrea & her Mom), wish I had snapped a photo of that but was chatting with the sales associate. 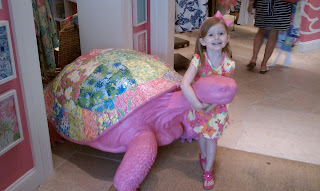 Olivia saying "Good-Bye" to the turtle and giving one last hug as we left. After we left the store she started to feel ill again :( The symptoms she had when she was hospitalized returned so we quickly checked out of the hotel and headed back home. We were supposed to stay in KOP at the Sale through Friday night and also have her portraits done but I didn't want to take chances and be in PA on a Friday so far from her doctors/specialist so I put her in the car and raced for home. I won't go into details but having a child sick with stomach/intestinal issues in the car for 7+ hours was not fun! Trying to make Emergency stops was a challenge in traffic and she almost didn't make it while we were stuck in traffic coming through NYC on the GW Bridge. Through CT we hit very bad storms, took over 8 hours but we made it home. Poor DH was not so lucky and got stuck at the NJ airport due to the storms and flight cancellations. We have followed up with Olivia's doctors/specialists and they thing she may have Ulcerative Collitis (UC) triggered by the e coli poisoning. I don't usually give a ton of personal information out on my blog but will share that I suffer from UC, not a fun disease, not curable but treatable. I try to look on the bright side and feel blessed it is not something terminal and I do my best to deal with it and minimize flares. I hope & pray that Olivia does not have it but she is at a greater risk because I have it and because of the e coli poisoning. So now we wait and see if she has more flare-ups like she had in PA at the Warehouse Sale and continue to get tests. 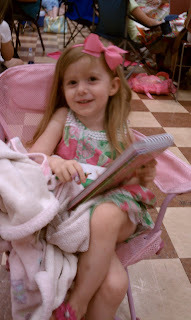 Please say a prayer for my sweetheart <3 She without a doubt is LILYS BIGGEST LITTLE FAN! Miss Olivia is still upset with me for leaving the Lilly Warehouse Sale early, LOL. We look forward to the next sale and hope to meet up with Re-Lillyers again. 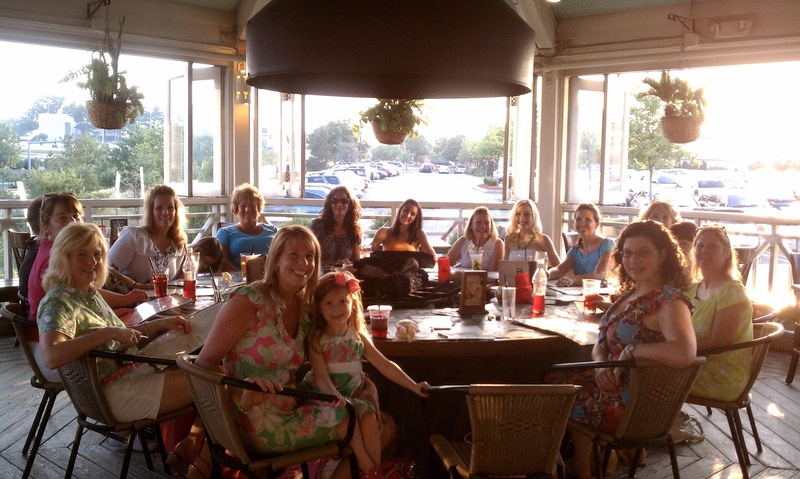 The Bahama Breeze re-Lilly dinner was our favorite part of this trip. NOW FOR OUR 5000 FAN GIVEAWAY WINNER! Random.org was used to select a winner! We appreciate all the votes & support everyone is giving! It is hard to compete for votes with those in the Greek Sorority System and with voters posting they are giving other contestants 60 votes, 115 votes, etc., We never would have guessed we would have gotten this far with so many votes so CHEERS to all of you for sharing the Lilly Love with us! It takes a lot of courage to enter a photo contest and essay/photo description and I commend every single person who entered this contest, it takes guts to put yourself out there. I thank all of you because we truly love to look at all the beautiful entries. 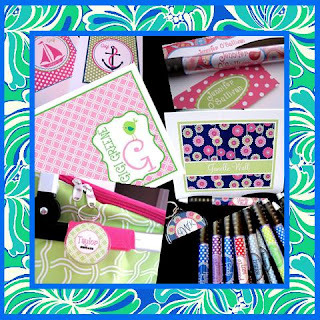 This contest for us is about sharing the Lilly Love and we are thrilled to share our LOVE & Passion for the GREATEST BRAND IN THE WORLD with so many! Don't feel bad if we don't finish with the most votes because after voting ends all Top 20 entries with the most votes will be judged and have an equal chance. This was never about prizes for us, but proving our love for Lilly and sharing it with as many people as we could! We already feel like winners as our entry has held 1st Place for several days, received the most Facebook "Likes" and received the most comments so far! Please also visit the Re-Lilly event set up where you can see links to all the other beautiful ladies from Re-Lilly that entered, they would love your support too! Last but not least I want to Announce that Re-Lilly has reached the 6000 Facebook Fan mark! I never would have dreamed that Re-Lilly would become such a HUGE success! Thank you for continuing to spread the word that Re-Lilly is THE Place to Buy~Sell~Swap your Lilly, find out about Lilly Sales & Lilly News, and to share your love for Lilly with other Lilly Lovers. I am amazed that we have gone from 5000 fans to 6000 fans in just a few short weeks! We have a very special community and I look forward to announcing some new improved changes coming soon! Graceful Correspondence is generously giving away 2 Pens, 3 Fobs, a set of Foldover Notes & a Door Tag! After countless visits to every specialty store within a 20 mile radius, I called my friend and told her we were out of luck; I just couldn't find exactly the right card for the combination birthday party we were throwing together for her son Connor and my daughter Grace. At midnight, that same evening, I decided to convert one of my fave photos to black and white; then, add color accents to create a sweet invitation that differed from the norm. Even at such a late hour, I was excited about my newfound craft! With encouragement from friends and family, Graceful Correspondence became an outlet for my creative side and knack with graphic design. Over the years I have enjoyed working closely with customers to create truly one of kind professional and personal products! I encourage you all to visit Graceful Correspondence and browse her beautiful items! Here is how you can ENTER TO WIN ALL THE PRIZES ABOVE: 1 Lucky Winner Gets it all and you have the chance to enter multiple times! PLEASE 1 ENTRY PER COMMENT - SEPARATE YOUR ENTRIES! Giveaway open to US Residents and winner will be selected on Sunday July 3rd, 2011 at Midnight EST and will be announced shortly after! 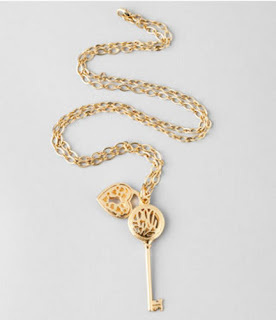 Hopefully I'm doing this right I am obsessed with the key necklace. I am a re-lilly facebook fan. I "like" the pink closet. I have voted for y'all in the contest. I also published it to my fb, y'all deserve it. The votes just show all the support you have, trying to go up against sorority voting is super hard. 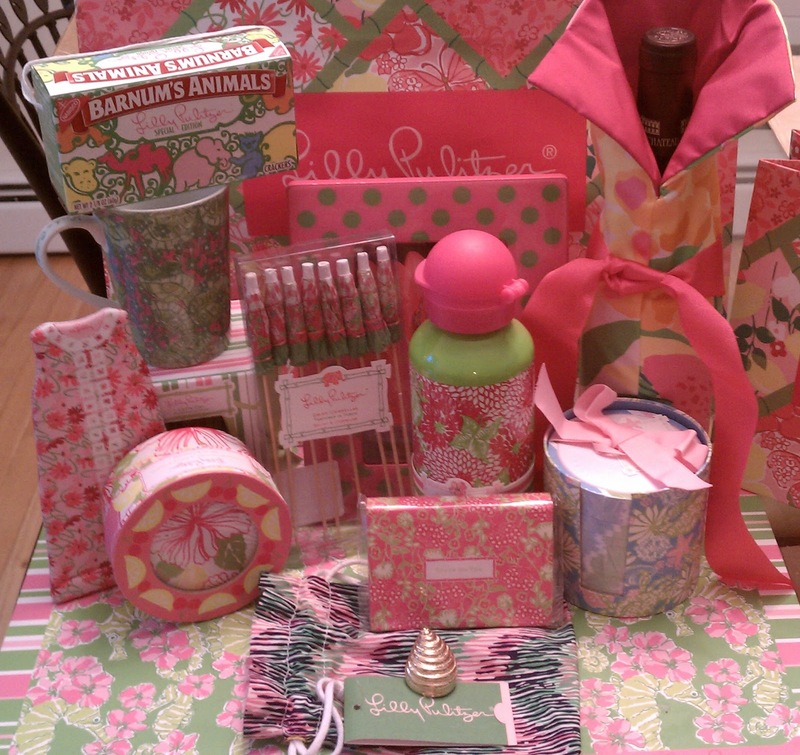 I just voted for you in the Lilly Lover Days contest. I voted for you ladies! I like Re-Lilly on FB! I like Pink Closet on FB! I like Graceful Correspondence on FB! I voted for you in the Lilly contest!! i also like re-lilly group on facebook! i like the pink closet, too! LOVE these gifts!!!!! I already follow you via Google connect. And I LOVE Re-Lilly on Facebook! I like Re-Lilly on facebook! I voted for you and your minnie(multiple times) in the contest! I follow your blog via google friend connect, follow your fb page and of course voted for you on the picture contest!!!! Presh. 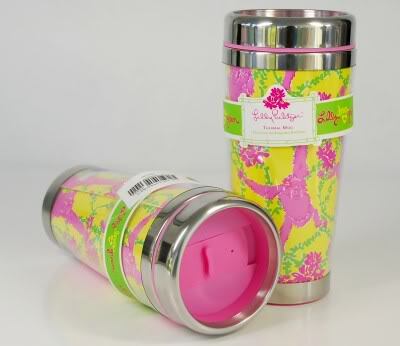 Love Re-Lilly! I like the pink closet! I voted for Susan and Olivia! Fingers crossed you two get it! I'm a Re-Lilly Facebook Fan! I am a fan of The Pink Closet! I've voted for you and adorable Olivia! I have been voting for you and Olivia everytime I remember! I like re-lilly on facebook and love it! I like the pink closet on fb too! I also voted for you and your daughter in the lilly contest - you all DESERVE to win! You're true lilly lovers! I like the pink closet on facebook! Of course I voted for you and Olivia! You've got to be Lilly's biggest fans! Fan of The Pink Closet on Facebook! Voted in the photo contest today!!! Go Susan and Olivia! I 'Like' Re-Lilly on FB! I 'Like' The Pink Closet on FB! I "Like" Graceful Correspondence on FB! I also have been voting for you in the photo contest everyday! I hope you guys win! fan of the pink closet! fan of Graceful Correspondence Totally Custom Paperie! Tweeted about the blog giveaway! First entry: I follow your blog! Second - I "like" re-lilly on fb, obvi! Fourth: I "like" pink closet on FB. 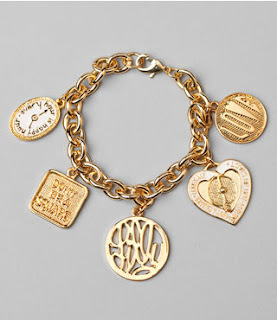 I "like" Re-Lilly on Facebook! I follow the Re-Lilly blog! 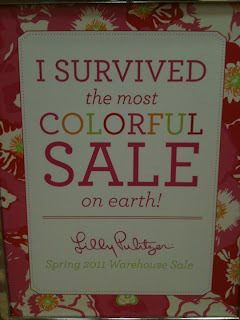 Gosh, I'm so glad that Olivia survived the LIlly Warehouse sale. She's a trooper! I'm already a fan/liker of the Re-Lilly FB page. And yes, I'm a fan/liker of the Pink Closet FB page. I'm a new fan/liker of Graceful Correspondence FB page. Thanks for introducing me to her; I LOVE stationery! And of course I voted today and other days for you and Olivia. Good luck! Thanks for the fun giveaway and congrats on your success. All done! I liked everyone, tweeted and voted! I hope I win! Voted for you guys in the Lilly Lovers contest! i am a following of the re-lilly blog through GFC! i "like" relilly on facebook! I like Graceful Correspondence. Really cute original stuff, great for gift ideas! I follow ya'll on google. I am a fan of re-lilly. I am a fan of the pink closet. I voted for ya'll in the photo contest. I voted for you and Olivia - again! I like graceful Correspondence Totally custom Paperie! I voted for you in the lilly photo contest! I follow you all on google!! I like Graceful Correspondence on facebook too! I follow the blog on google friend connect! Voted for y'all in the contest! I voted for you and Olivia in the Lilly Lovers contest! Voted for the Lilly contest. i just voted for you in the contest. http://twitter.com/#!/heathbar_MaLs i just tweeted about the contest. i follow you guys on google friend connect. i like re-lilly on fb. i like the pink closet. I like the Pink Closet on Fb! I like ReLilly on FB! I follow with Friend Connect. i am definitely a re-lilly facebook fan! 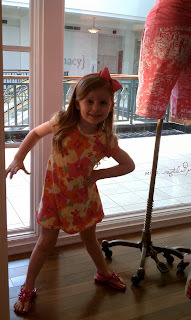 6-I voted for you in the Lilly Lovers giveaway! i voted for you and Olivia again, soooo close! I LOVE Re-lilly on Facebook!! I like/love the Pink Closet!! I vote for you and cutie Olivia! I voted for you and Olivia in the Lilly Loving contest :) Good luck! I like "Graceful Correspondance" on FB! And... I'm folling ya'll on Google Friend connect! I'm also vote 3977 in the Photo Contest! Laura Simpson! I follow your blog on Google Connect! 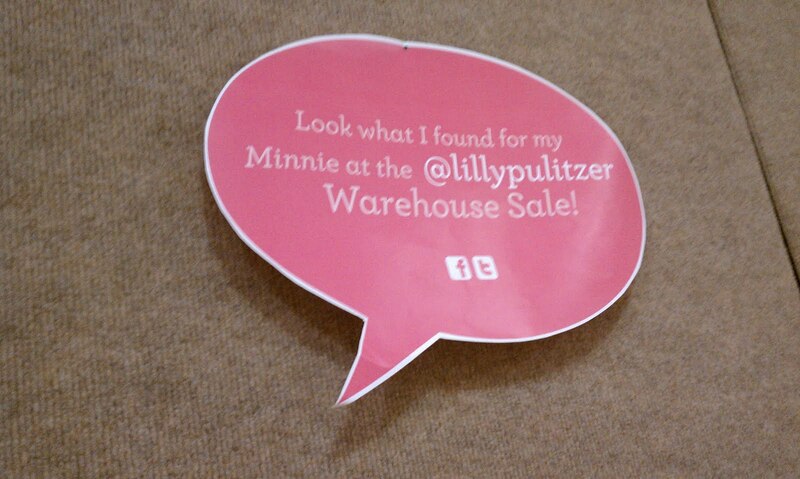 Find Re-Lilly on Facebook ~ THE Place to Buy ~ Sell & Swap your Lilly Pulitzer! 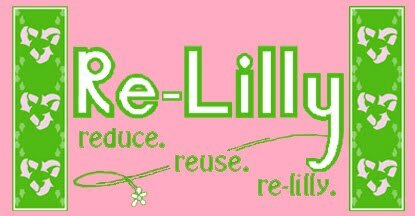 Find The Pink Closet Re-Cycled Fashions (Re-Lilly sister page) on Facebook! Lilly Pulitzer (along with many other fabulous designer brands) frequently appear on Rue La La at up to 80% OFF! By Invitation only ~ Here is your invite! Gilt Groupe is the premier members-only website for fashion and luxury brands at prices up to 70% off retail, by invitation only, to coveted brands for women, men, children and luxury living. Each sale lasts 36 hours. Shopping on Gilt Groupe is a rush. Get addicted. 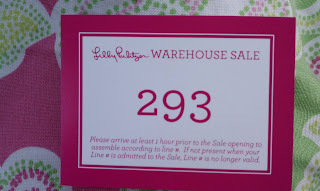 Lilly Pulitzer Giveaway, Lilly Warehouse Sale Info & Rue La La Lilly Sale Info! Lilly Pulitzer Sneak Peak Spring 2011, Kenneth Jay Lane, Rue La La, Jewelry Blog Sale & more Lilly Pumpkins! Customize your Cell Phone, iPad or Laptop with a Custom Cover! My Pink and Green Garden $150 Lilly Giveaway! Happy 1st Birthday Re-Lilly, Year in Review and Lilly Giveaways! 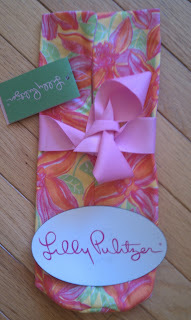 Celebrating 3000+ Re-Lilly Fans, Lilly Pulitzer Spring 2011 & Purselady Too Giveaway!